Neither one of my kids had been overweight until the youngest started taking medication that makes him gain weight…and they ate McDonald’s every week. My oldest, in fact, probably has a hidden tattoo of the Carl’s Jr. logo somewhere! Of course, since my husband and I are now scratching the belly of “being fifty,” we can’t tolerate Mickey D’s as we used to, but we sure love the smell of those fries!!!! Thanks, Lola! 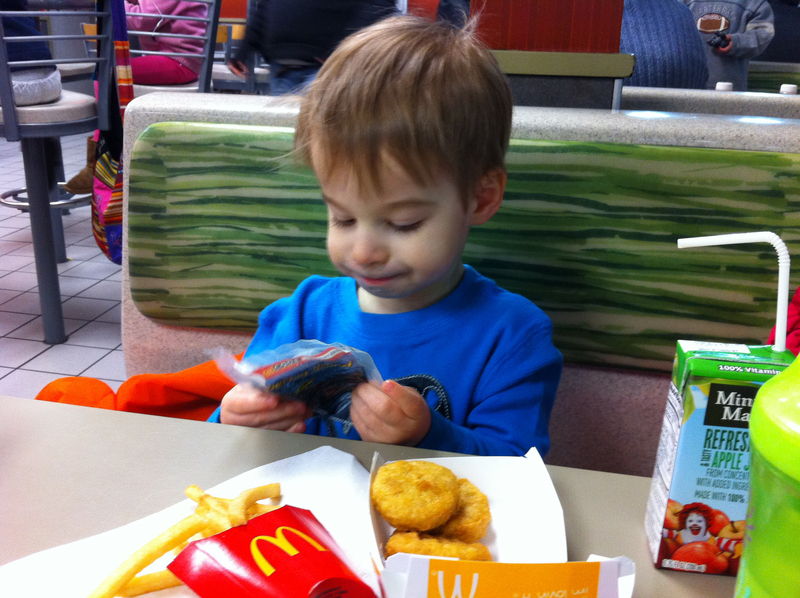 I don’t know what it is about McD’s that makes kids so happy. Even without the playplace, even if we don’t get a happy meal, they’re just so thrilled to go there. I used to go once a week when my kids were that age too. 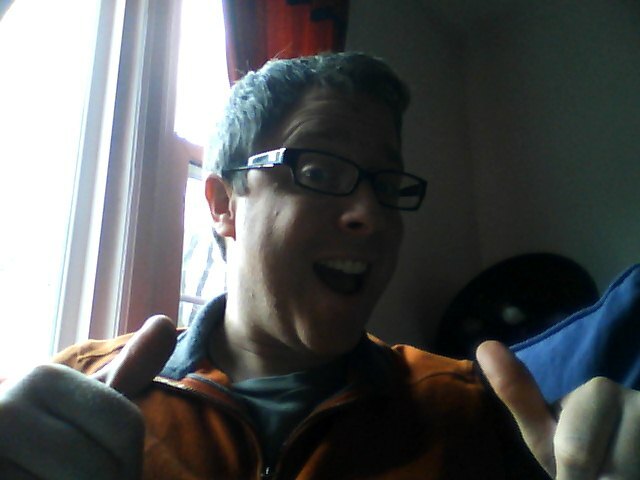 I went for the same reasons you specified especially to get out of the house in the wintertime. Once they get older and you are shuttling them everywhere, you won’t have time to go that often. Good to know. I doubt I’ll miss it when we’re not going, but it’s fun for now! It’s amazing how wonderful the concept of “filling up time” can actually be! Managing to get your kids to not go ADD and change their minds about what they want to do every 2 and a half minutes is worth it! I, too, am a stay at home father, and I hear you. Thanks for having my back. Julia Sweeney has a great bit about taking her young daughter out to IHOP for breakfast, then to the playground… basically, having a full day’s entertainment… then she gets home and realizes it’s 7:30. I love her. Great post! Ours “outgrew” the play areas when they determined that the other children were biting/scratching/kicking monsters that probably weren’t wearing shoes when they got there anyway. The youngest used to dump his nuggets and fries into the bag so that we couldn’t see how much or how little he was actually eating. He thinks he’s so smart. Hey, Jerry, great post as usual! McDonald’s is also the best thing in the world when you taking long drives with your kids because A) you know the kids will eat the food, B) it gives you a goal for the middle of the drive (“We’re 40 minutes from McDonald’s! ), C) they have a play area that you can run the kids around in before you get back in the car and D) a bathroom that you don’t have to wait in line for. Hey Chuck! Thanks for writing! 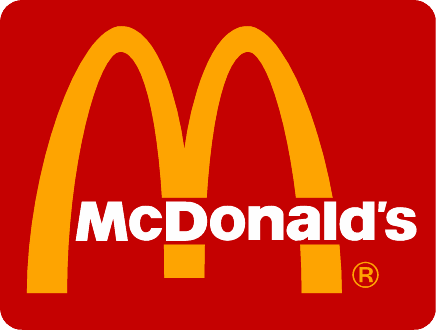 We’re going to be taking a road trip very soon (when Susie has her baby… basically any day now), so we’ll definitely use McD’s as our midpoint goal to keep the kids happy in the car. Thanks for the tip! We’ll have to agree to disagree as to the deliciousness of the food. I don’t know what they put in those McNuggets (and frankly, I don’t want to), but I can’t get enough. Well, I’m honoured 😉 And a little flabbergasted you are asking ME for inspiration. Go play with those adorable kids of yours, they have yet to fail you when it comes to making a fantastic subject for your posts. And if all else fails, how about a post about TV for kids, hahaha. Oh, I wasn’t kidding about that TV post. It’s in the works! Now that the twins are older, it’s usually the drive-thru, but the weekend shift TOTALLY remembers us and sometimes slips us little packs of Grimace and Hamburglar cookies. It’s our Saturday lunch tradition, and it makes the weekend official! I would like to go to McDonald’s once a week too, but I have no kids. Can I borrow the twins to use as a beard? Thanks so much Jerry I breathed a HUGE sigh of relief when I read this. Also I would add no.11- I managed to use going to Mc D’s as a threat for two days last week, it worked great with my two year old. Although the looks I got at toddler group when he announced he was ‘goin McDonald’s me’s been good boy’ were slightly uncomfortable lol. Thanks for the laugh! I’ve been saying, “Goin McDonald’s me’s been good boy” all day. Adorable! Lol that’s two year olds for you they hold all the power by being so adorable and you’ve got it doubled! Ahhh! But there is nothing like the feeling of stepping on one of those McDonald’s toys in the middle of a cold winters night when you’ve got up to a sick child. Yeah, the McDonald’s toys have a habit of “disappearing” when the kids aren’t looking for that very reason. My god, you are funny! Your self-deprecating humor is McDonaldifric. Never having been a parent, much less a stay-at-home one, I can only imagine how the day might drag. And yet, as slow as it drags, I’m sure you’re postively exhausted by the time those kidlets are tucked in at night. I think you all deserve you Mcpoisen once in a while. Here’s my dirty little secret. I love to travel. I love to eat really GOOD, expensive, fancy food when I travel. As the plane approaches the good ol’ USofA on the return trip, I find myself salivating and imagining a Big Mac. I may only eat at McDonalds once every 3 years…but it’s usually on the heels of an overseas adventure. Go figure. Thanks, Linda! I thought you were going to say that you like to eat McDonald’s on your trips, which would be a little sad. But to be honest, I’ve done it. The few times I’ve been overseas, I’ve always checked out McD’s to see how their menus differ. It’s kind of fascinating. Also fascinating that no matter where you go, the fries taste the same. Nothing left to say that hasn’t been said. 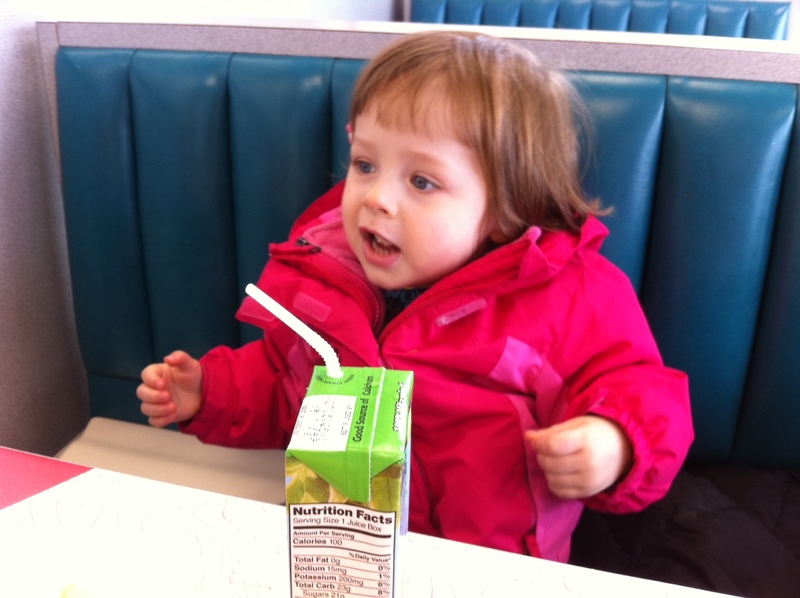 I liked the point that the food is as good/better than yours….my children were Mickey D regulars as kids becuase of many of the reasons above. No harm, no foul. They are both vegetarians, capable human beings who also happen to know that everything in moderation is okay. I too am a vegetarian which means those fries can still be enjoyed….they are amazing. Ha! I love that your kids turned out to be vegetarians after eating McD’s as kids. Thanks for sharing! 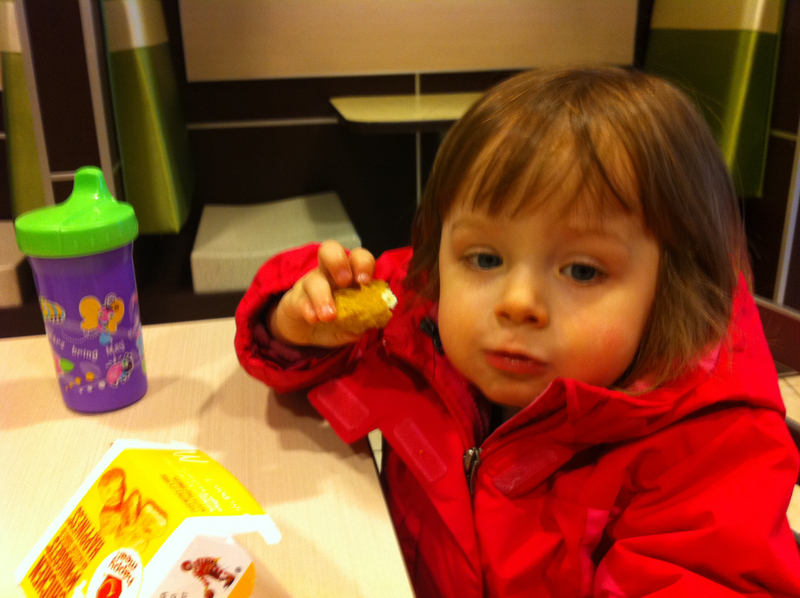 I guess I shouldn’t tell you about the post I wrote about what’s really in a McNugget… But I’m sure you already know. Ps: We LOVE television, particularly Elmo. But you might have guessed this from our name. And I have yet to meet a kid who doesn’t love Elmo. I don’t get it, but he’s crack for toddlers. I so wish we lived closer. Love this! Let me get this bit out of the way first: I’m a lactose intolerant, vegetarian (so it’s off the cards for me anyway), social activist (lefty, green, whatever), anti-maccas, amateur chef and I laughed and laughed all the way through this post. Being someone who is passionate about food and cooking, I don’t think I could personally take kids to maccas, but I sympathise deeply with your reasons. And I have really fond memories of going as a kid, also in moderation, rarely and when it was some other kid’s birthday party. I also just love that you posted this under “super parenting”. Made my night. Thanks for this wonderful blog, and the inspiration that it is for any family set up, two dads, one dad or none! I really appreciate it! Parenting is all about passing your values onto your kids, so if you steer your kids away from Maccas on principle (love the nickname – never heard that before), then good on ya. And thanks for not judging me for taking mine there. See, we can both be super parents. 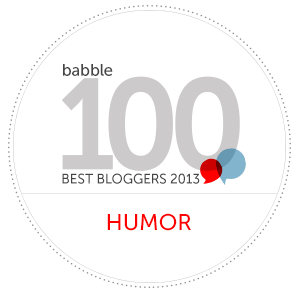 Hooray for us! I’d like to be all high and mighty about the evils of McDevils since we never eat there, but we do take our 4 year old to an awful Chinese Buffet every Tuesday after his gymnastics class. This, clearly, is no better. I have yet to find a nutritional argument of the benefits of lo mein noodles soaked in soy sauce, and jello. But it makes him happy. And well behaved. And it takes up lots of time! All benefits you note, and I completely agree with. When weighing sanity vs. nutrition, nutrition can take the occasional backseat. Yay for bad parenting! I hate their food, but my husband likes it from time to time, plust they have that kids’ area. A few fries and some free play time from time to time, I can’t complain I guess. 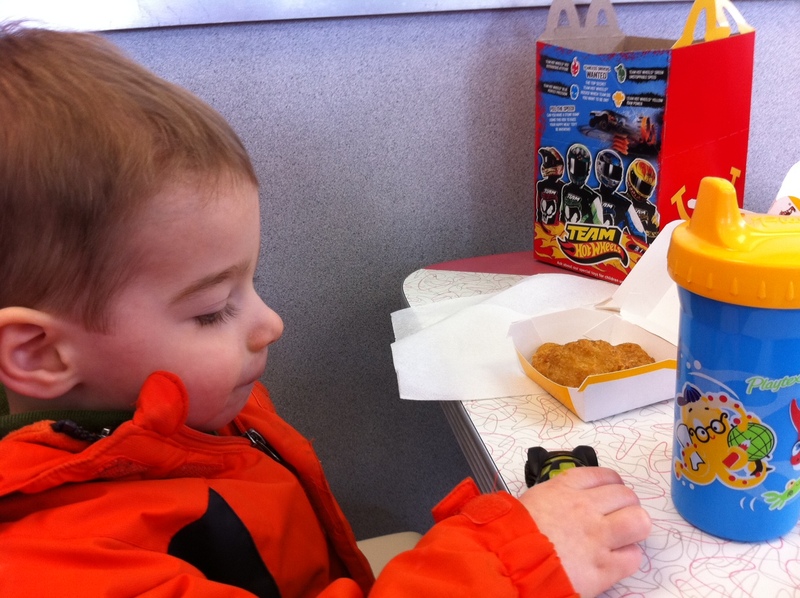 my son loved the kid habitrails of McDonalds. I had all the best ones in a 30 mile radius mapped out around Seattle. Just so every meal is not from there. I like this post it’s exactly how I feel too.